In this generation of video sharing and streaming, there is interesting collection of entertainment, education and other videos in different categories. Though majority of the sites allow watching these videos online, but in conditions when network is not available or very slow, capturing these videos is the solution. If you have Mac system and looking for the ways to capture videos on Mac, below listed are the top ways. Read below and know how to capture video on Mac. Software for all types of tasks and devices is available these days, and video capturing is no exception to this. A long list of software to capture videos on Mac is available and if you are looking for a professional and feature packed tool, iTube Studio will prove to be the best choice. This excellent software allows downloading as well as recording videos from more than 10,000 sites. 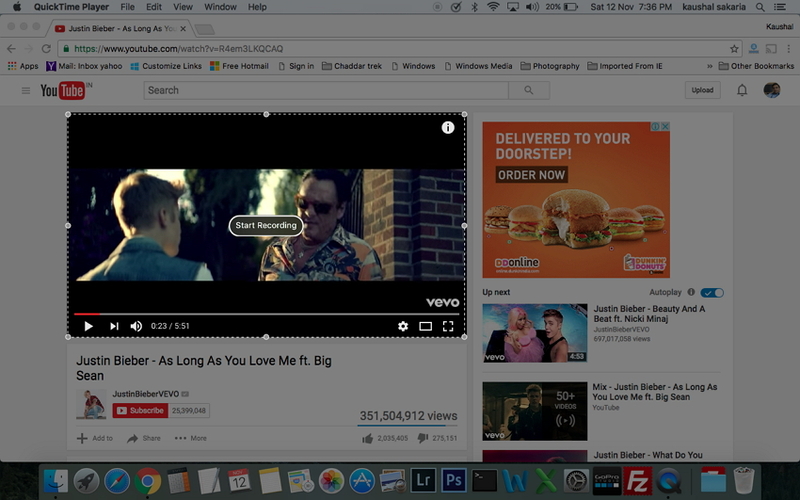 Some of the popular sites include Youtube, Vimeo, Vevo, Dailymotion, Yahoo, Metacafe and others. Online videos as well as audio can be recorded using the software with just a few clicks. The software supports more than 150 formats for downloading videos and can also extract MP3 and other audio files from these videos. The downloaded videos can further be converted to other popular formats. HD quality video download, batch downloading and subtitle download are other additional features. 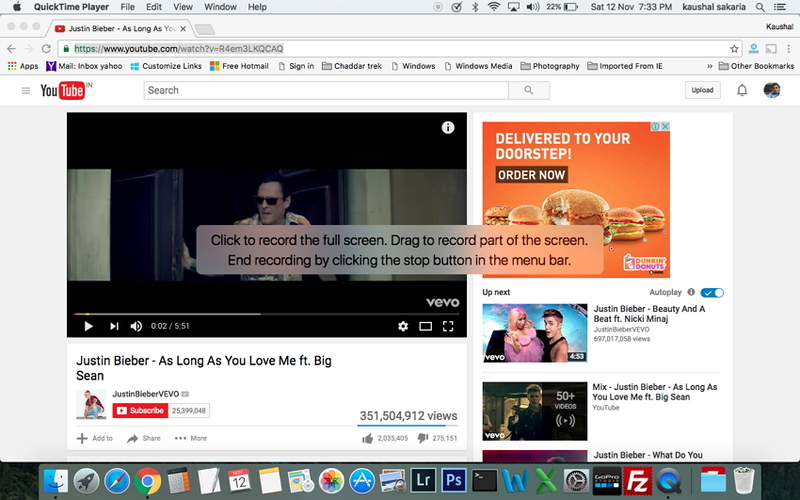 Step 1 Download, install and launch iTube Studio on Mac and click on “Record Video” tab. Step 2 On browser, open the video that you wish to capture. 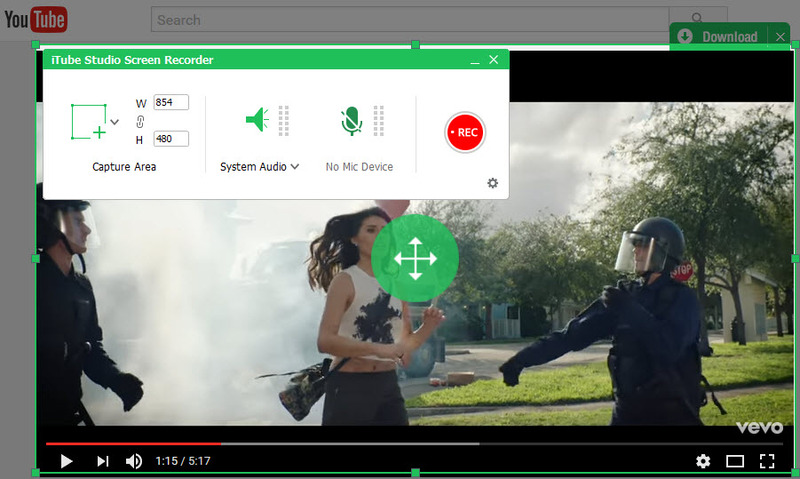 Move the frame of the recording window to adjust the area to record. Click “Rec” to start the recording process. Step 3 Once the recording is complete, click “Stop” and the video will be saved. Alternatively, you can also set the stop time in advance at "Stop at" place on the top-middle of the above window, then the record will be completed automatically. Step 4 When the recording process finishes, you'll get the recorded video in Recorded section immediately. Allows downloading and recording videos from over 10,000 sites. Support more than 150 formats for downloading. Can convert videos to other popular formats. Can set the record end time in advance. The free trial version comes with limited functions, if you want to use all the functions without any limitation, you need to purchase the software. Quicktime is a multimedia technology developed by Apple that comes with built-in media player. This extensible framework is compatible with different formats of pictures, digital videos, interactivity, panoramic images and sound. QuickTime has advanced video compression technology known as H.264 that is can offer amazing and crisp HD videos with less storage and using less bandwidth. 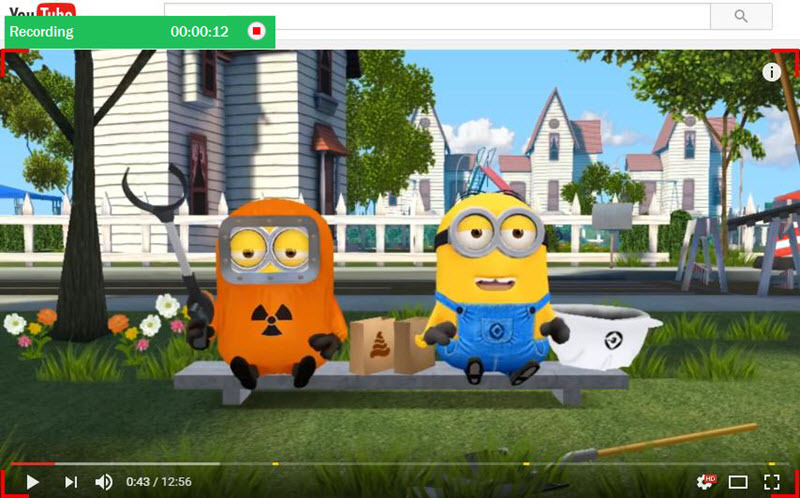 The QuickTime media player which is also the default video player for Mac has a simple and clean interface that allows you to enjoy your videos without any interruption. 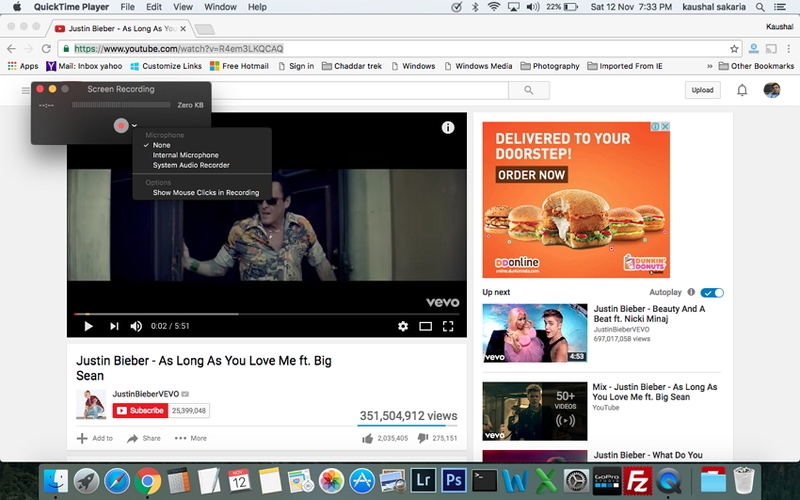 The latest version of QuickTime Player can be used for playing, recording, editing and sharing video as well as audio files on Mac. 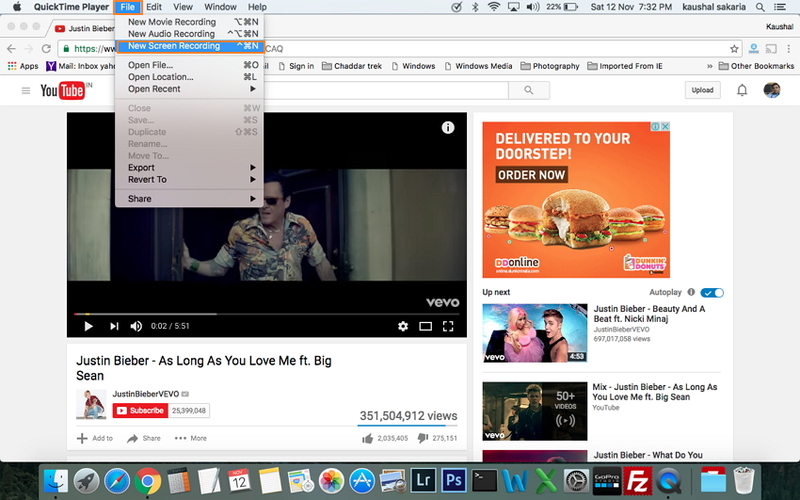 Thus, another way to capture videos for Mac is by using QuickTime Player. QuickTime Player is capable of recording movies from camera and recording the screen of iPad, iPhone and iPod Touch. The Player can also record screen of Mac and audio from microphone. Listed below are the steps to capture videos form Mac using QuickTime Player. Step 1 Open the desired video that you wish to capture or record. On your Mac, launch QuickTime Player and then select "File > New Screen Recording". Step 2 A window for screen recording will open. Click the arrow on the right-hand side to change and make desired setting. Click the red "Record" button to capture videos on Mac. Click the desktop area to capture whole screen or drag the mouse in order to select a customized area for recording. To stop the recording, click the “Stop” button or press “Command + Control + Esc”. It a free and simple tool to capture screen on Mac. It can play media and offers 3 recording modes- New movie recording, new audio recording and new screen recording. The captured video on Mac is automatically saved on MOV format that is compatible of working with only iOS devices and QuickTime. Sound quality cannot be modified during the recording process. Another solution on how to capture video on Mac is by using an online site that facilitates quick and easy recording process. There are numbers of web based sites that do not require any downloading or installation, and allow capturing the desired videos on Mac directly. Apowersoft Free Online Screen Recorder is one such online website that allows you to capture videos for Mac. The site is free and has simple to use interface. 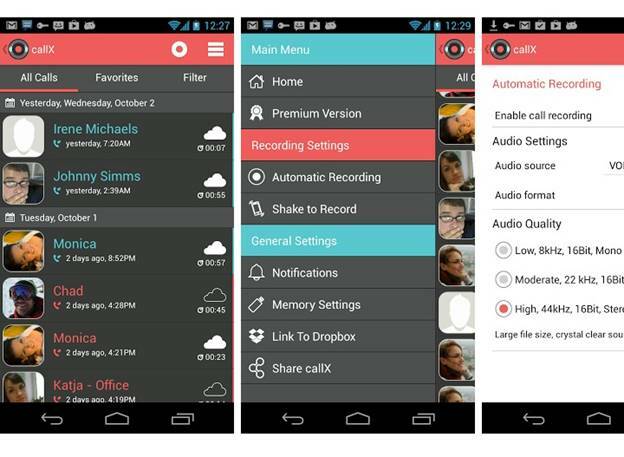 At first time, you need to install a launcher and after that unlimited recording can be done. No Java Applet is needed for the application to work. This online tool can capture all types of screen activities including live chat, video streaming, self demonstration and others. 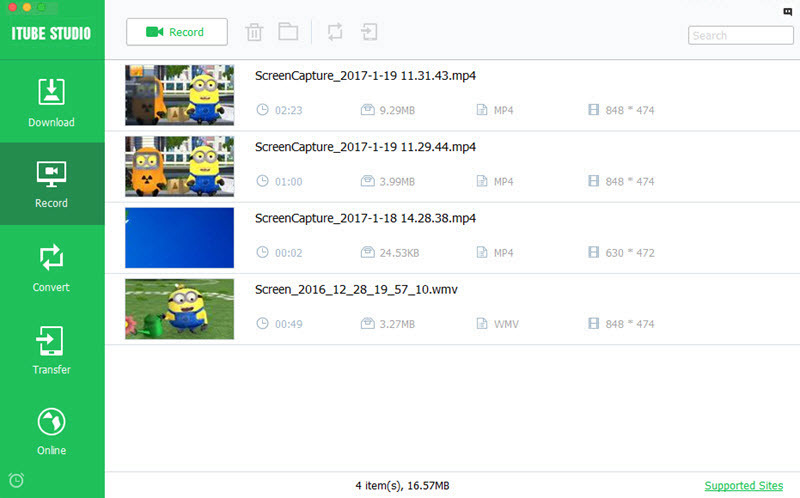 The captured videos can be exported to different formats including MP4, AVI, VOB, GIF, WMV and others. Apowersoft Free Online Screen Recorder allows you to either record the whole screen or a customized region as needed. The captured videos through software can be saved to local disk or can also be uploaded to sites. 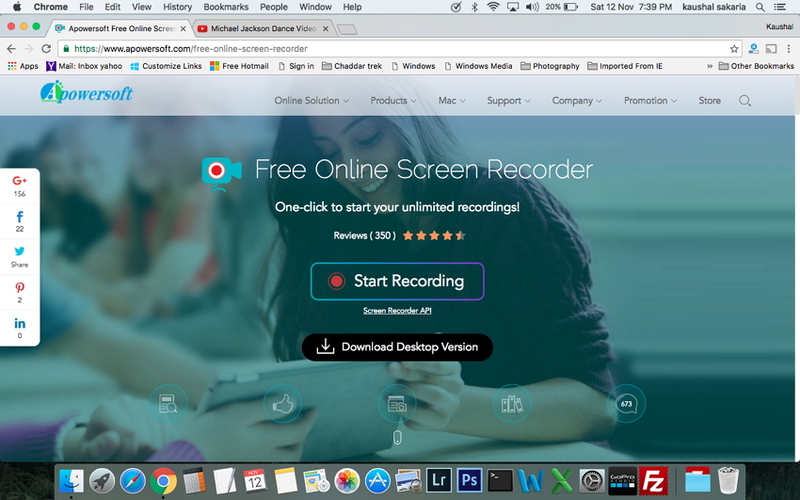 Step 1 Open https://www.apowersoft.com/free-online-screen-recorder on your Mac. 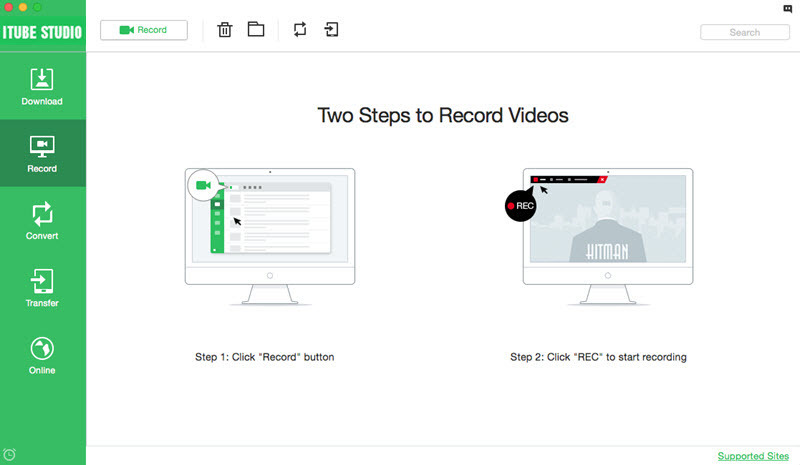 Step 2 Click “Start Recording” on the site. For the first time users, the window to "Download Launcher" will appear. Download and install the launcher. Start recording and customize the mode and region. Once the video is successfully recorded, save it to local disk at desired location. The method is free and simple to use. Allow quick downloading and supports multiple formats. Does not require to install downloader. Internet connection needs to be good to have interruption-free recording process. Thus, depending upon your requirements, you can select any one of the above methods to capture videos for Mac. But if have a regular requirement to capture videos, we suggest you to use iTube Studio, which have multiple functions and can output many formats to suit your different devices. Please don't hesitate to have a try now.